e-Residency applications outgrew Estonia's actual birth rate in 2017. 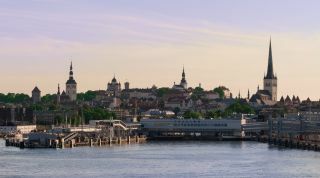 Estonia has revealed that its landmark e-Residency program has proved so popular that it now appears to be outgrowing the country's own birth rate. The Baltic nation says that there were 11,096 e-Residency applications in the year 2017 leading up to November - more than the 10,269 registered births in the country. Estonia launched its e-Residency scheme back in 2015 as a way to help foreign citizens benefit from a number of online services such as health programs, along with offering entrepreneurs access to advantageous business laws and regulations when registering EU businesses in the country. Applicants to the service were found to own more than 4,000 companies, with the e-Residency program allowing users to open a company within a day, then run it remotely. Of those applying for e-Residency, 41 per cent said that they submitted an application in order to start a location independent international business, 27 per cent were looking to bring business to Estonia, 13 per cent stated they were advocates of the initiative and eight per cent were hoping to benefit from the programme’s secure authentication technology. Overall, Estonia has recorded 27,000 e-Residency applications since the launch, with applicants coming from 150 countries around the world. The UK ranked fifth in terms of applicants, with Finland topping the list. “E-residency offers the freedom for every world citizen to easily start and run a global EU company from anywhere in the world,” said Kaspar Korjus, programme lead Estonia e-Residency.